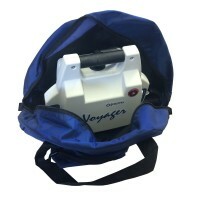 Main Parts for the Oxford Voyager Portable including accessories and spare parts. If you need assistance, please call 01772 814 555, our team is here to help. Oxford Easy Track Arm ExtensionThis Arm Extension is for the Oxford Voyager Portable. Be assured, al..
Oxford TrolleyThis Trolley is an accessory for use with the Voyager Fixed Track Hoist. Be assur..
Oxford Voyager Portable BatteryOur Oxford Voyager Portable battery is 24v 2.3ah and is light and eas..
Oxford Extension StrapThis Extension Strap is for the Oxford Voyager Portable. The Extension straps ..
Oxford Voyager Portable Carry BagThis Carry Bag can be used to transfer the Oxford Voyager Portable ..
Oxford Voyager Portable Extending Spreader BarThis 6-Point Extending Spreader Bar (with extending st..
Oxford Voyager Portable BatteryThis battery Charger (monitor) is for the Oxford Voyager Portable. Th..